A sleeping beauty returns to the fore. A pioneer from the time of its creation in the late nineteenth century, Angelus has set numerous milestones in the history of Swiss watchmaking, such as its famous travel clocks that display their various indications on multiple dials. The brand now draws on this heritage, together with 1960s-70s industrial design, to deliver an avant-garde wristwatch. Proposed as a 25-piece limited series, U10 Tourbillon Lumière presents a flying tourbillon, distinct from the time display including deadbeat seconds, combined with a linear power-reserve indicator on the side of the case. 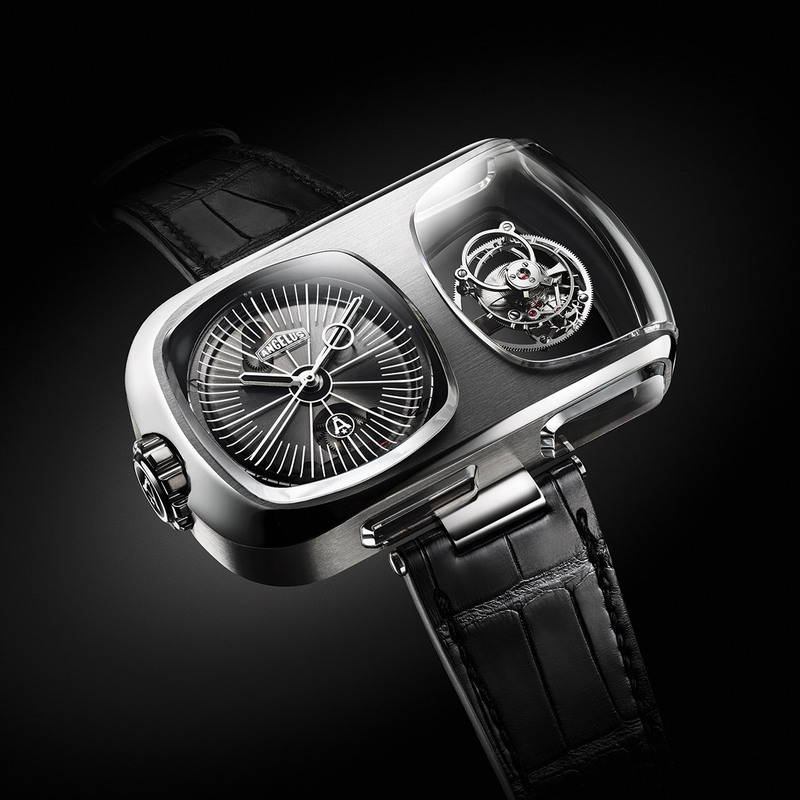 Seven sapphire crystals, including four that frame the flying tourbillon, allow light to flood this mechanical marvel to create three-dimensional effects. 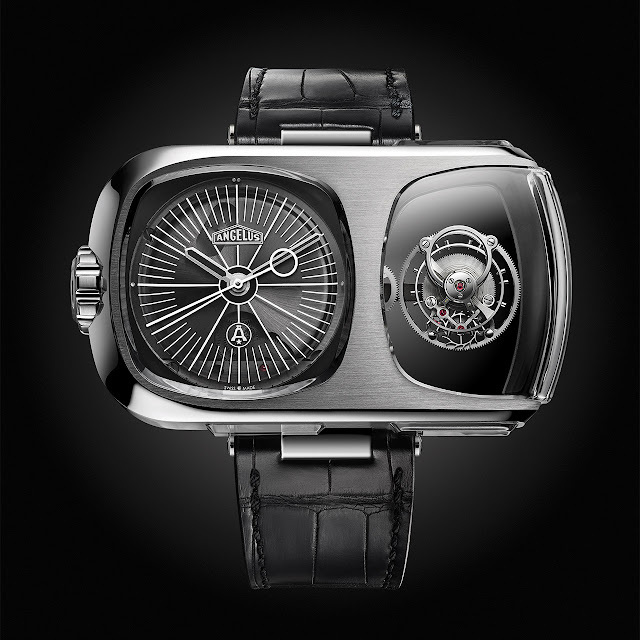 The movement, which provides a 90-hour power reserve, has been entirely developed and made by Angelus after four years in development.